Don't want a Combi? Then buy a Combilift! Whenever we are asked for a machine to handle long loads our first thought is a 'Combi' multi-direction machine. However, there is still resistance among some customers to the concept of three wheel steer and such was the case when Nottinghamshire based Fabrikat approached us for options to replace their ageing side-loader fleet. With Fabrikat dismissing the multi-direction option, we looked at the available side-loader models from our preferred suppliers. Rather like Hoover being synonymous with vacuum cleaners when in fact they supply a full range of household appliances, Combilift also produce a wide range of machines other than the original 'Combi' they are best known for. Amongst these is the FWSL variant, a four wheel side-loader machine with an impressive standard specification. While edging our bets by providing quotes for traditional side-loaders, we focused our effort on promoting the Combilift FWSL machines that we felt offered the best solution for Fabrikat. 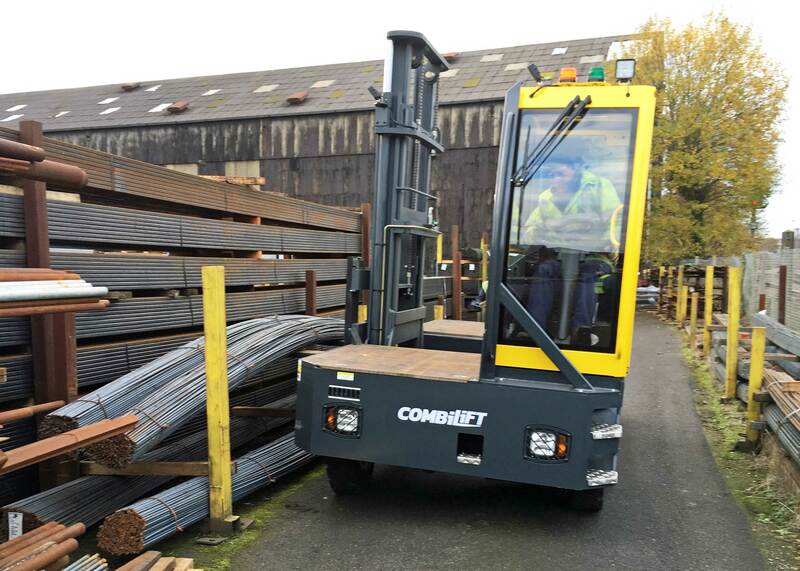 With Combilift's help, we arranged for a new machine to be made available for demonstration at our Sheffield depot and the Fabrikat team made the short journey up the motorway to put it through its paces. With a very high standard specification, only a few minor tweaks were requested by Fabrikat and these were readily incorporated into the factory build by Combilift. It is a credit to the innovative production processes at the new high volume Combilift manufacturing plant that machines can still be built with bespoke features to suit customer requirements. Delighted with the demonstration and proposed specification, Fabrikat subsequently placed the order for four Combilift C5000FWSL along with seven Doosan D30S-5 machines. 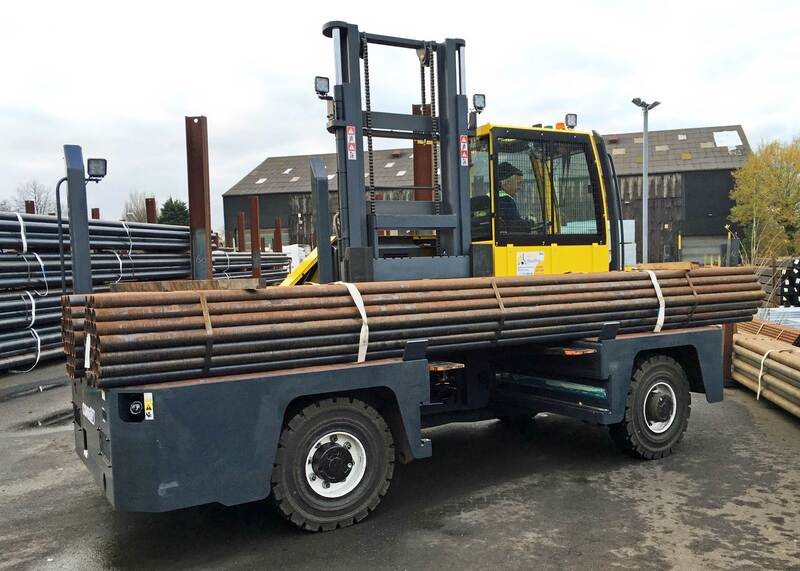 While the Doosan trucks were available within a few weeks, the Combilift machines had to be custom built to order and therefore on a much longer lead time. To help Fabrikat transition to the new machines and train their drivers, Ability Handling were able to supply casual hire machines to serve until the new machines arrived. With all their new machines now on site, Fabrikat are able to operate their materials handling at maximum efficiency thanks to the perfect harmony between the Doosan yard trucks and their new Combilift C5000FWSL side-loaders. 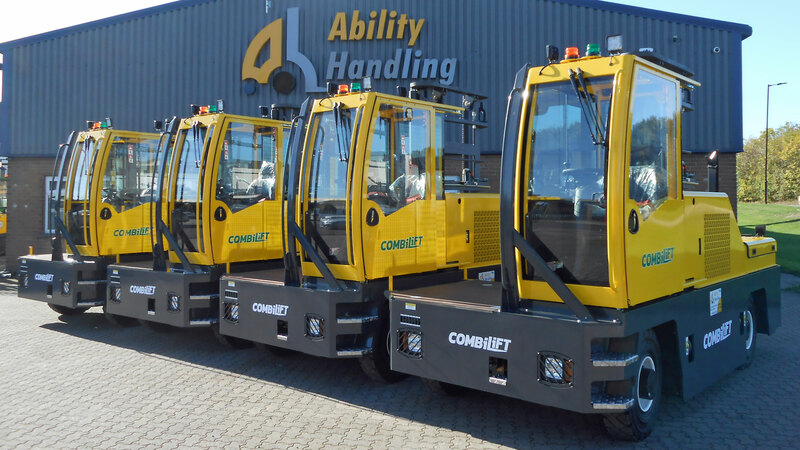 To see the fantastic Combilift C5000FWSL for yourself, contact Ability Handling today!